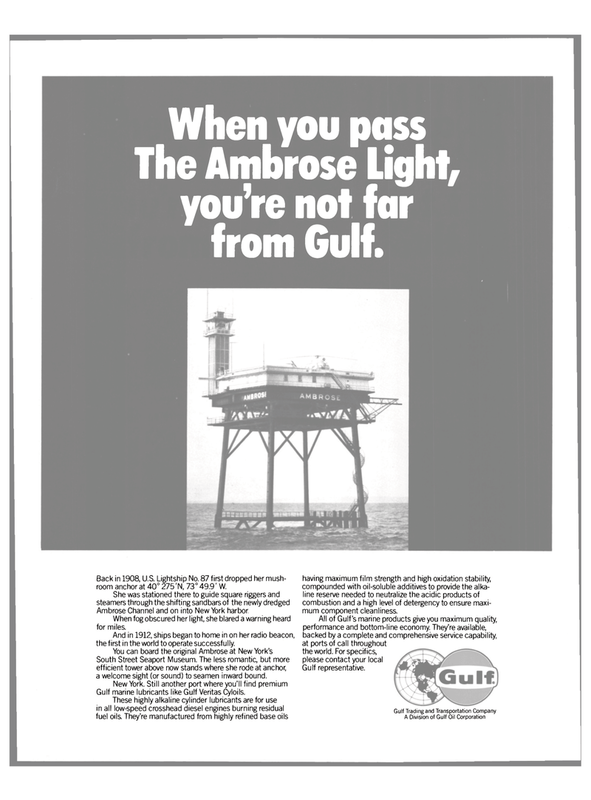 The Ambrose Light, you're not far from Gulf. Back in 1908, U.S. Lightship No. 87 first dropped her mush- room anchor at 40° 275 'N, 73° 49.9' W.